The OHSAA Magazine provides another avenue to communicate the role the OHSAA plays in interscholastic athletics and why education-based sports are so important. It is a message that needs to be communicated not only to our member school administrators and coaches, but also to student-athletes, parents, fans, officials, legislators, media and anyone interested in extracurricular programs. 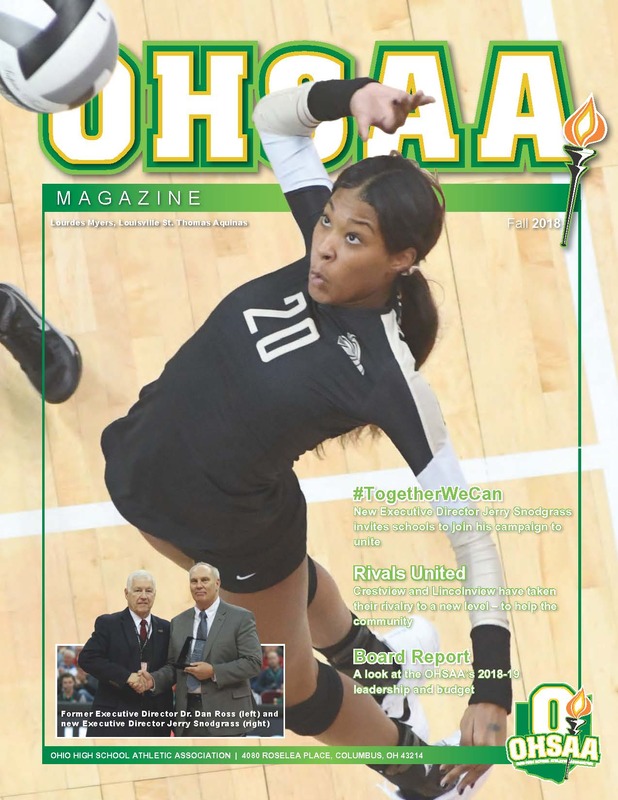 OHSAA Magazine is produced three times a year by the OHSAA. It is mailed to superintendents, principals and athletics directors of all member schools. Annual subscriptions may be purchased for $20 and single copies are available for $7 by contacting Andrea Heiberger at aheiberger@ohsaa.org or 614-267-2502.